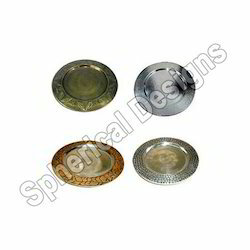 We are engaged in offering an extensive range of Charger & Base Plates in the market. The entire range is manufactured from finest grade raw material and advanced technology. We are offering these products in wood and glasses. During the manufacturing of each product is checked properly to prevent any manufacturing defects. We are offering these products at leading market price. Looking for Charger Plates ?